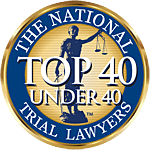 At Associates and Bruce L. Scheiner, Attorneys for the Injured, we have build a respected reputation through four decades of service to the residents of Marco Island and other communities throughout Southwest Florida. We know how to protect your rights when a traffic accident has left you injured or has taken the life of a loved one. Marco Islanders know they can trust our firm for representation that ensures their interests are well served. The largest barrier island of Florida’s Ten Thousand Islands, Marco Island is located south of Naples on the state’s Gulf Coast. When Barron Collier bought more than a million acres of land in Southwest Florida in the early 20th century, most of Marco Island was included. Incorporated in 1997, the city was named by early Spanish explorers. Upscale residential neighborhoods, shops, and white-sand Gulf beaches make Marco Island a highly-desirable and popular resort area. The 2010 permanent population of just over 16,000 more than doubles during the winter season with the influx of seasonal visitors. Local residents know the Marco Island accident attorneys at our firm for their visible advocacy for the victims of impaired motorists. Our efforts on behalf of injury victims and families who have lost loved ones to drunk drivers are aimed at recovering compensation and holding drunk drivers liable for the harm they do. We know that about a third of our nation’s traffic-related deaths are due to the actions of impaired motorists. We also know that young children often are among those victims. The heartache that families suffer when a child is lost to a drunk-driving accident keeps our Marco Island wrongful death attorneys focused on successfully resolving drunk-driving cases. Motorcycle riders in Collier County also know our firm for its promotion of motorcycle safety. Bruce L. Scheiner has led his firm’s participation in community events for motorcycle awareness and in building a practice that has almost 40 years of experience representing injured motorcyclists. With Florida averaging almost 23 motorcycle accidents statewide every day, our firm is called on to apply those years of experience dozens of times each year. Our Marco Island motorcycle accident lawyers are pleased to be a leading choice of local bikers who need the help of veteran personal injury attorneys. Associates and Bruce L. Scheiner, Attorneys for the Injured, offers you a free consultation to review the details of the accident that injured you. If another driver’s carelessness or negligence has left you seriously hurt, you may be entitled to compensation. Our firm of skilled negotiators and trial attorneys is equipped to handle any type of accident case. If we represent you, you pay no fees unless we win.